DETAILS: $20 entry fee w/ optional $20 Side Pool. Use Meetup to indicate that you will be participating. 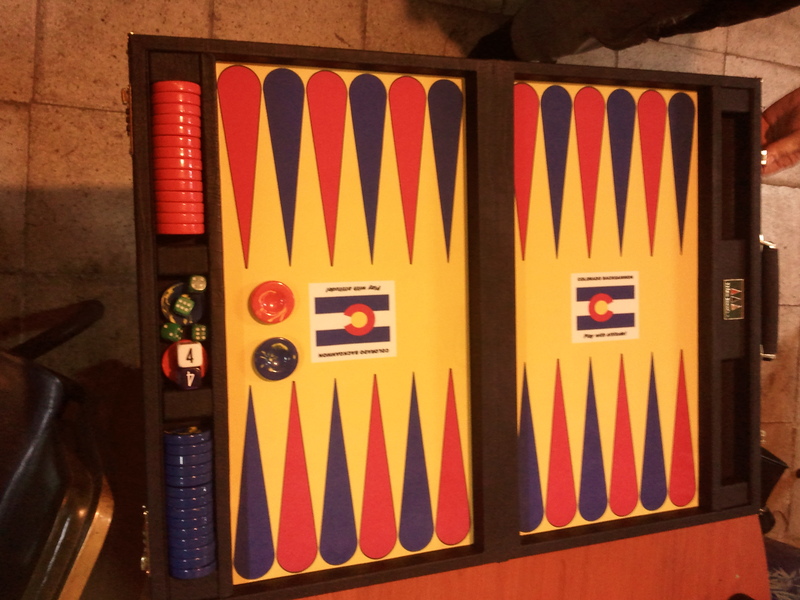 $10 of total entry fee will go towards Meetup, Colorado Backgammon, Denver Backgammon, future tournaments and the continued outreach of new players. DETAILS: Chouette — a many versus 1 game, $5 per point typically. Times are approximate. Let us know who’s coming as we often cancel if there are fewer than 4; especially if you’re an organizer–negative replies requested. No ‘hard’ limit to the attendees either. If we get more than 6, we allow the ‘box’ to take a ‘partner’. Please see http://www.bkgm.com/rules/chouette.html if you’re unfamiliar with this form of backgammon. We will usually do this if we get too few folks for our regular 1st, 3rd and 5th Thursday tournaments, too. Use Meetup to indicate that you will be participating.